My parents came to town last weekend. JW and I had dinner with them Friday evening at the Crown & Moose. Tons of pub food and beers were consumed. And unfortunately for my dad and JW lots of wedding talk occurred. Saturday my mom and I decided to visit my city’s only bridal salon. I didn’t have high expectations thankfully, because I didn’t have the bridal experience at all. But the purpose of the visit wasn’t to find a dress but to more or less find out what I was looking for in a dress. Although I had a great time with mom I wasn’t as successful narrowing down a style as I had hoped. We did however determine that some of the dresses with the beautiful backs that I love have strap styles make it look like the dress is swallowing me whole. So there’s that. Pictures were taken, but it turns out my mom is pretty terrible behind the camera. That evening my aunt and uncle cooked supper and we had a super informal meet and greet of our parents/engagement celebration. It was a wonderful evening and somehow there were no pictures taken, sorry about that. It was a good weekend, but my mom called on Monday concerned that I wasn’t happy about getting married. Apparently I wasn’t acting like an excited bride-to-be. Let me be clear. I am unbelievably happy about marrying JW, but so many questions were directed my way about the wedding over the weekend, that I guess it was hard for me to hide how overwhelmed I’ve been. I’ve always picked apart other peoples weddings. Not in a judgmental sort of way (okay maybe a little) but in a way where I took notice of the things I did or didn’t like about them and made mental notes for when my turn came. Because of that I always thought that I knew exactly what I wanted my wedding to be. However since beginning to plan my own big day I’ve come to realize that I don’t actually know what I want, I just know what I don’t want. JW isn’t a fan of organized religion and for the most part neither am I. We also come from families who have different religious backgrounds (his is Pentecostal and Salvation Army while mine is Roman Catholic) and our grandmothers are both praying for a wedding to be held in their respective church. Its easier to choose neither than it is to offend either side. Also, having a civil ceremony gives us a lot more control over the things we will or will not include. And even with not having it in a church it will still be a romantic and spiritual event. The weather in Newfoundland is predictably unpredictable. It is entirely possible for us to experience all four seasons in one day. I don’t want the stress of worrying about whether or not the weather will cooperate, and dealing with having a Plan B in case it doesn’t. I don’t want to be rushing around buying umbrellas at the last minute, have my guests freeze to death, or have my veil blow away in a nor’wester. Also, both mine and JW’s grandmothers are hard of hearing; an outdoor location would have a lot of background noise which would make it difficult for them to hear the ceremony. I don’t want them to feel isolated during the part of the day that is most important to them, and what is essentially the “wedding”. Again, incredibly over done. I don’t want my wedding to look like the last six weddings my guests attended. Also, as much as I am outdoorsy, rustic weddings just aren’t my thang. 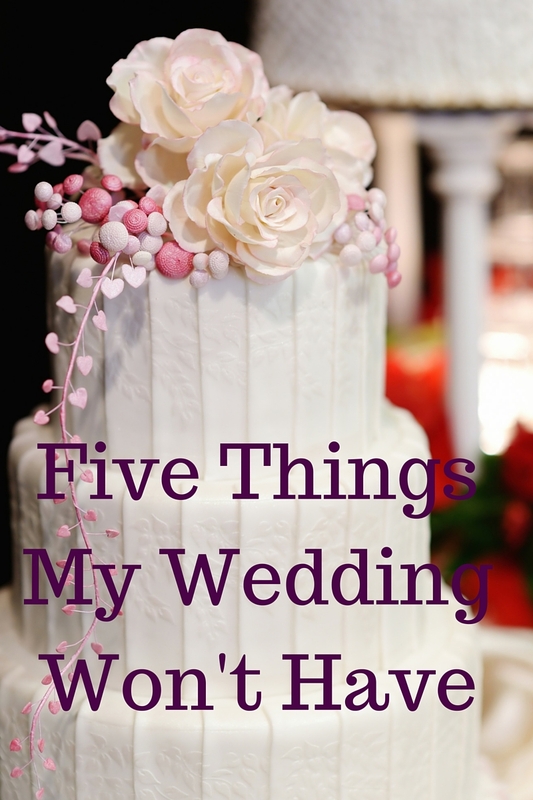 What things would you not want/did you not want your wedding to have? We didn't do a church ceremony either. We were both "raised" Catholic and our grandparents were really hoping/expecting us to do a church ceremony but it just wasn't for us. We ended up with a beautiful outdoor spiritual ceremony (with a little Christian-ness thrown in there, you know how it is lol) and I wouldn't have changed a thing! I've always known I wanted a civil ceremony, but only ever been to a few and those seemed completely devoid of spiritualness and romance. So instead of the typical short and sweet type civil ceremony, I'm still planning to do "readings" and perhaps a unity ceremony. I want the ceremony to have "feeling" if that makes sense. Yayyyer! Totally your own call. The importance is recognizing that. And yes, all photographers should dress the dang part. you don't come off as very excited on here either. you got engaged and jumped into talking 100% about the wedding and never about how excited you were to marry the man of your dreams etc. I'm not saying you're not. I'm sure you are…but I can see what your mom was thinking. don't let the wedding overwhelm you and let you lose the magic of the moment. Thanks a ton for these inspirations! We are also planning for a vintage wedding and have shortlisted couple of best Chicago wedding venues. If you have tips for vintage decoration, then please do share them here as we want it to be a memorable affair!